The frog eye has been a standard preparation for vision research for more than a century. 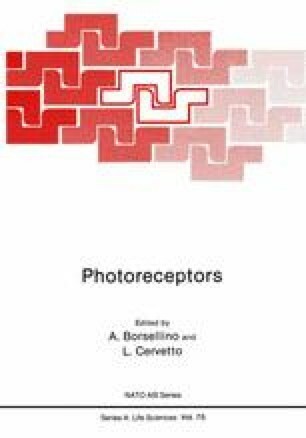 It has provided fundamental information about receptor photochemistry, the origin of the ERG and the properties of ganglion cells. In light of its history, it is surprising there is so little information about the cellular electrophysiology of the frog retina. This is particularly true of frog photoreceptors, which, to my knowledge, have been studied with intracellular electrodes on only one occasion (Toyoda, et al., 1970). As a result, there are several gaps in our understanding of their fundamental physiology. The aim of the present work was twofold: first to assess the practicality of using intracellular electrodes to study the frog retina and second, to answer some basic questions about the light response and spatial properties of frog rods.